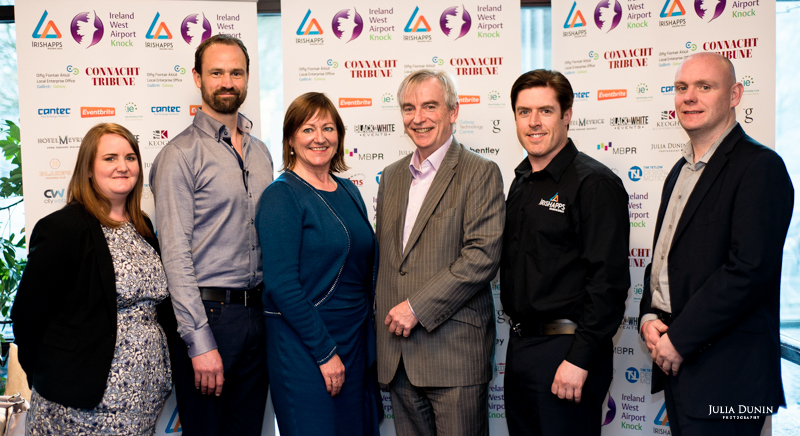 IrishApps were very proud to be one of two Gold Sponsors for the Online Marketing in Galway (OMiG) awards which took place in the Town Hall Theatre on April 8th of this year. Online Marketing in Galway (OMiG) was a fantastic initiative set up in August 2011 as a network for local marketers, professionals and businesses in the West of Ireland, to share knowledge and best practice techniques for marketing and allow small businesses to make the most out of online tools and online marketing strategies. 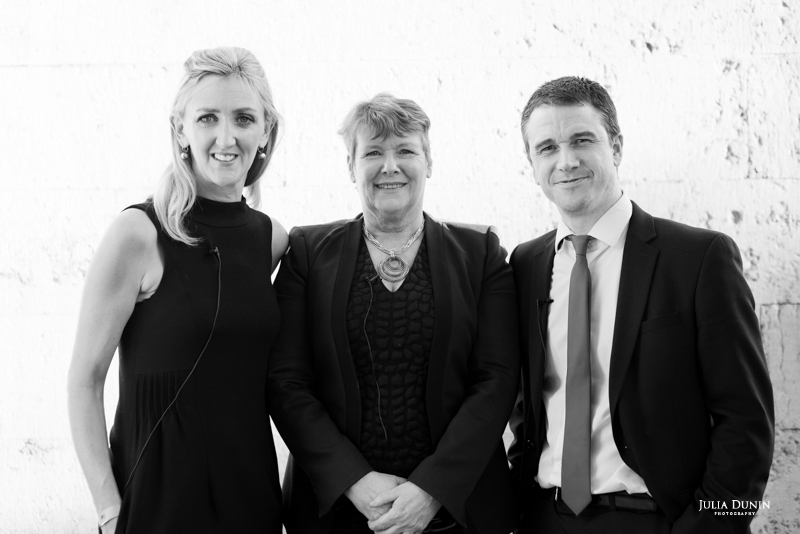 This year, the OMiG awards celebrated and rewarded the best digital talent in Galway with categories including: Best Website, Best Blog, Best Social Media, People’s Choice Award and the overall Online Marketing Leadership Award. Over €20,000 worth of prize funds were won on the night. A number of awards were presented on the night including: Best Social Media to Mykidstime and Best Website to Vespa Ireland. 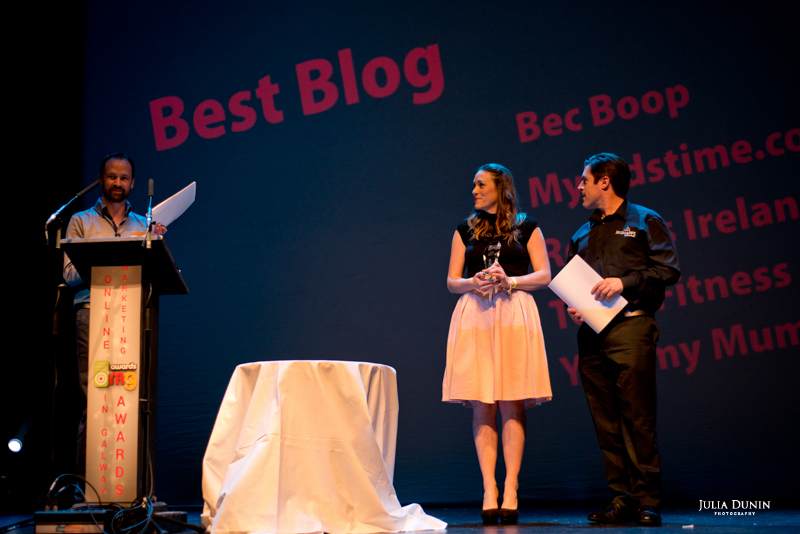 The award for Best Blog was presented by our very own CEO Cathal Greaney to winner BecBoop.Congratulations to all of the night’s winners and well done to OMiG for organising such a successful event.